We know you must have a few of these beautiful Joseph's Grainery food grade storage pails sitting around empty, right? Well, today we thought we'd share a couple of ways to reuse them. First, there's the obvious way to reuse your food grade storage pails - put food in them! 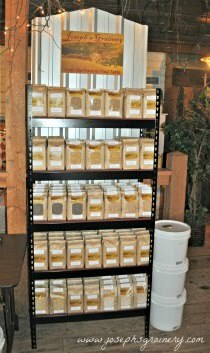 The next time you place an order, ask for the grains or legumes in a bag, and you can pour the bagged legumes or grains right into your previously used pail. We highly recommend that it be cleaned and thoroughly dried before pouring your new grains or legumes in. Another great way to use those food grade storage pails is to put them to work around the house. 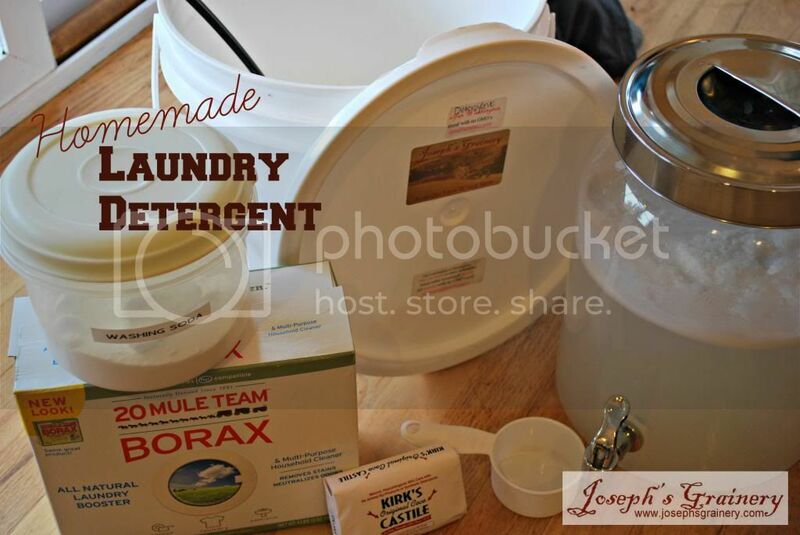 One of the ways we do that is by using an already-loved pail to store our homemade laundry detergent. We thought we'd share the simple recipe that we've used for the past three years. 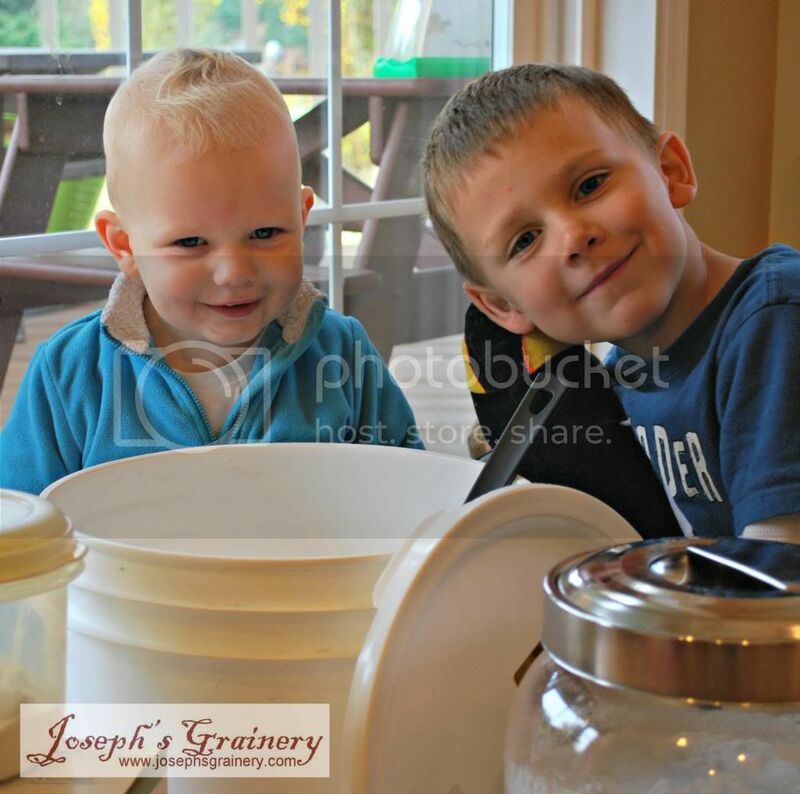 A great way to reuse your empty Joseph's Grainery Food Grade Storage Pails. Grate soup into pan and cover with water. Heat on low, stirring until dissolved. Add to the pail with washing soda and Borax. Mix well and then fill the pail with warm water. Stir and let sit overnight. Mix the next day, it will be thick and a gel type consistency. Fill an old laundry soap jug or clean milk jug (we use a drink dispenser) one quarter of the way with the soap mixture. Fill the jug the rest of the way with water. Shake or stir well before using. Use 1 c of soap for top loaders and 1/2 c for front loaders. This does not suds, but does a great job, even in cold water. This recipe is so simple and only takes a little bit of time, yet saves you lots of money. One pail full of the detergent concentrate lasts our family of four about a year. It's pennies per load and so easy that even my little brother and I get to help with mixing it up. So, not your typical whole grain recipe this week, but a fun way to reuse your food grade storage pails!